The loss of a loved one is always devastating, and when the negligent or reckless action of another person is the cause, it makes a difficult situation much worse. As a personal injury attorney, Chris Olsen offers compassionate assistance to families who are affected by wrongful death. Contact our San Diego office for a free consultation if you have lost a loved one because of another party's negligence. Chris Olsen understands the conflicting emotions and needs of a family in mourning, and can help you by providing outstanding legal representation while you concentrate on coping with your loss. 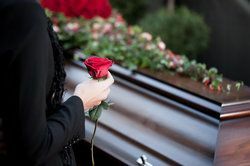 In California, a wrongful death claim can be brought if a person has died because of the wrongful act or negligence of another person or entity. A civil lawsuit can be filed by any of the deceased person’s close family members. A domestic partner, or any individual who was financially dependent on the victim at the time of his or her death, can also participate in a wrongful death suit. Negligence is not always easy to prove in a wrongful death case, which is why it is important to contact an experienced attorney as soon as possible. If the death was an accident, or not preventable by someone showing a reasonable standard of care, there may not be negligence involved. A wrongful death attorney is most qualified to determine the facts of this type of case, and to perform comprehensive investigations and discovery to locate the necessary evidence. Chris Olsen is committed to assisting families in obtaining the financial compensation they need in order to cope with a devastating loss. The loss of a loved one can impact family members in many ways, and the consequences can be far reaching. Wrongful death losses or damages can cover the death-related expenses and provide compensation for the loss of your loved one. Damages may include medical and hospital bills, funeral and burial expenses, lost income, and potential future income. You can also receive compensation for the value of the loved one’s household services. It’s difficult to place a monetary value on the loss of a close family member’s love, affection, and attention. However, damages can also be awarded for these intangibles, as well as for loss of moral support, community and guidance. The surest way to secure the compensation you deserve is to enlist the representation of an experienced and proven attorney. Chris Olsen has been a personal injury and wrongful death attorney for close to ten years, and has successfully litigated a wide range of cases. He has attained multiple high-dollar settlements and jury awards for his clients. Mr. Olsen is a skilled negotiator and an aggressive trial attorney. He is dedicated to seeking justice for clients who have been impacted by the wrongful behavior of others. Let Chris Olsen help you and your family with legal representation, so you can concentrate on the healing process. Contact our office and schedule your free consultation today.